Bokashi is Japanese for "fermented organic matter". Bokashi composting is a safe, quick, and convenient way to compost in your kitchen, garage, or apartment using a specific group of microorganisms to anaerobically ferment all food waste (including meat and dairy). Since the process takes place in a closed system, insects and smell are controlled, making it ideal for urban or business settings. The process is very fast, with compost usually ready to be integrated into your soil or garden in around two weeks. 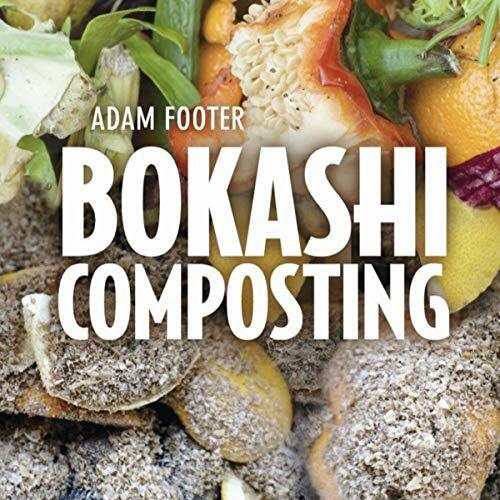 Growing - improving your soil with fermented compost and bokashi "juice"
This essential guide is a must-listen for gardeners, homeowners, apartment dwellers, traditional composters, and anyone who wants a safe, simple, and convenient way to keep kitchen waste out of the landfill. Adam Footer is a permaculture designer with a focus on soil building, food forestry, cover crops, water conservation and harvesting, and natural farming. He is a tireless promoter of bokashi to maximize the recycling of food waste and runs the website bokashicomposting.com.